Coming alongside a teacher as a class parent is a wonderful opportunity to benefit the teacher, the students, the parents, and the school. Whether you are a first-time class parent, or a seasoned veteran, check out some ideas for a fruitful school year. 1. Treat your teacher to coffee/breakfast and find out her expectations and needs for the year. Is there a need for regular, weekly volunteers in the classroom (readers, math helpers, lunch/recess supervisors)? Does she want to map out parties and field trips for the entire year or per event? 2. 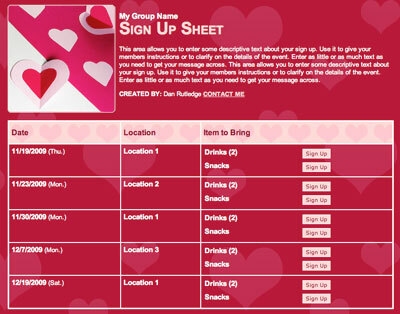 Collect parent email addresses and contact information immediately so everyone will be informed from the start. 3. Introduce yourself to parents as soon as possible to begin building a community of support for your teacher. You can be a catalyst for relationships and a connecting point for communication that eases the burden on the teacher, and brings involvement from other parents. 4. 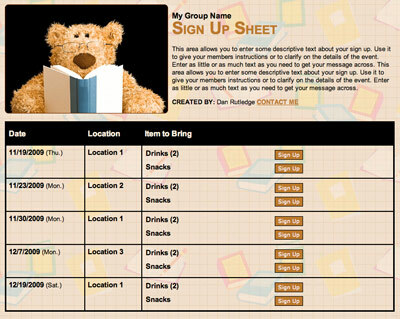 Gather classroom supplies by creating an online sign up for classroom needs. Ask your teacher for specific requests. 5. Don’t wait until the last minute. Advance notice is the key to promotion, participation, and overall success. If you are organized from the start, you’ll have more parents offer to help and follow through with their commitment. 6. Spread the work by recruiting volunteers for specific events like class parties and field trips as early as possible. Need to collect $$ for field trips? Try SignUpGenius Payments. 7. Be respectful and cautious to never release contact information for other parents/families without permission, or share any sensitive information. 8. Keep your communication with parents concise. Since many parents have multiple children in school, they are receiving a lot of communications daily. The simpler, the better. 9. Thank your volunteers for their help. When they feel appreciated or noticed, they’ll be more likely to help you again. 10. 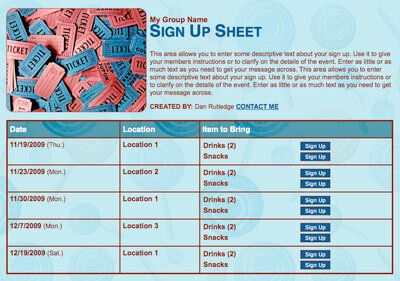 Consider creating a budget and collecting money to fund parties and teacher gifts throughout the year. Find out what resources are available to you through the school or PTO. You are a valuable asset to your teacher, the students, and the parents. Your commitment will allow the teacher to pour more time into teaching, growing, and inspiring the students. Sounds like a formula for a successful year! I love to have the available to work along with all the teachers, aids, and the fabulous staff at LCE. I greatly appreciate the opportunity that has been given to me, to volunteer in my childrens classrooms, as a Room-Mom, as well to assist all special teachers as need so. I feel as a mother that participating in activities, help create Holiday parties, relieve teachers, for lunch, and recess duty is a way to learn much more about the classroom, and teachers, as well as giving all teachers a much needed break. I fell the involvement, is a great experience in building a realationship with both students, and teachers. I also believe, that you are creating a positive roll model, to both the classroom students, and as always being a part of your childrens daily activities, showing support, and love to all. Your child will smile the minute you walk in thier classroom. Which, is worth all the effort in being a LCE Volunteer to the classroom.